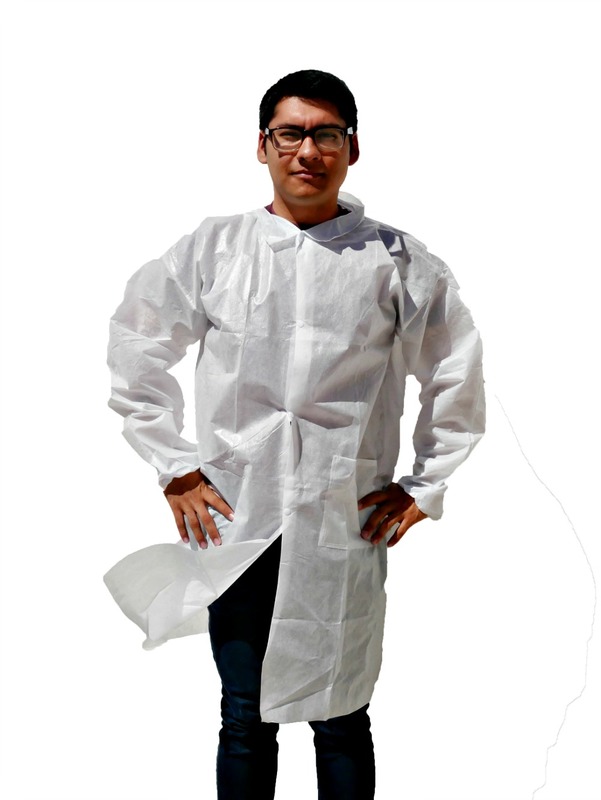 Makerspace Labs adult disposable lab coats in packs of 10. 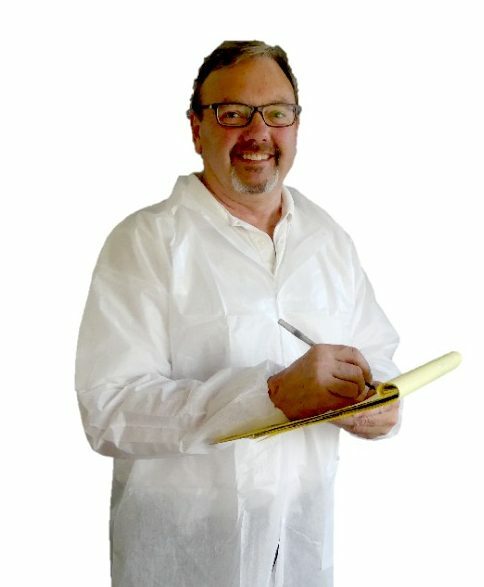 Makerspace Labs adult lab coats, provide cost-effective peace of mind. Protect yourself from paint, spills, and messes at school, in the art studio or in the lab. 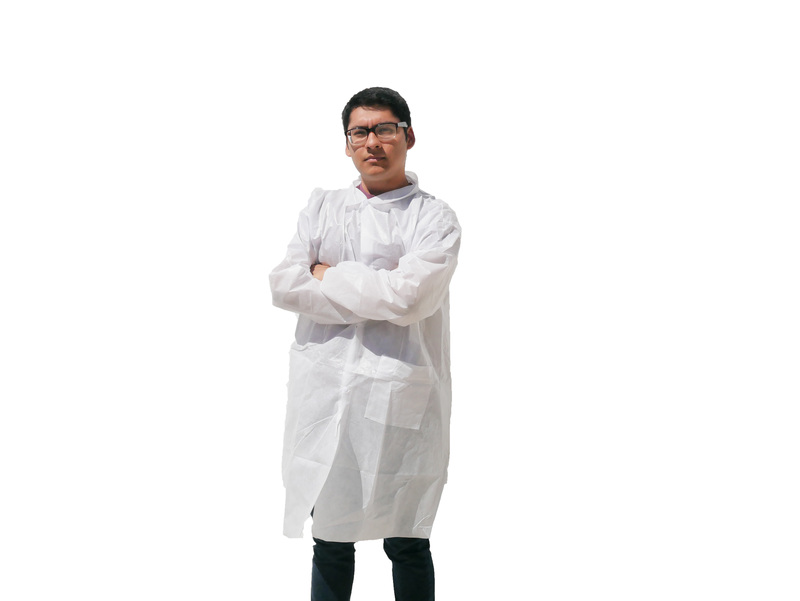 Disposable lab coats are made from breathable materials, the lab coats are lightweight, cool and comfortable. Arms are protected with elastic cuffs, closes with snaps up the front, and has one hip pocket. Package has 10 disposable lab coats. DO NOT USE for protection against toxic chemicals, biohazards, or hot situations. Coats will melt when hot. 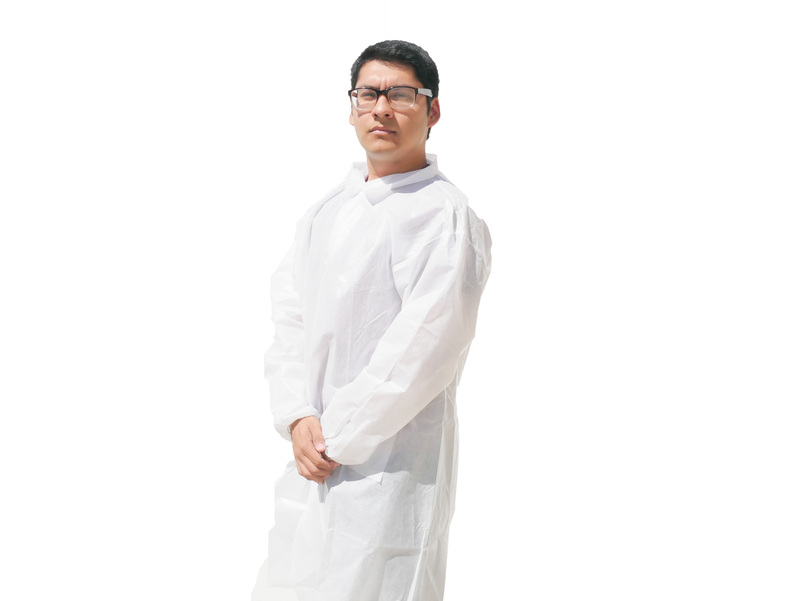 This is a package of 10 disposable, adult lab coats. Buy online now! Increase safety, productivity, and comfort! Neatly packed and ready for use. Each pack contains 10 white lab uniforms ready to go. 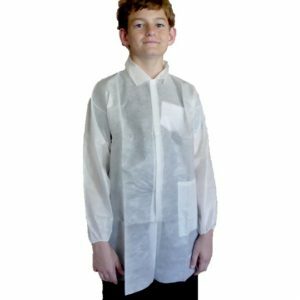 · Pockets seams are double stitched at the top. · Snaps are securely attached. · Coats are difficult to puncture or tear. 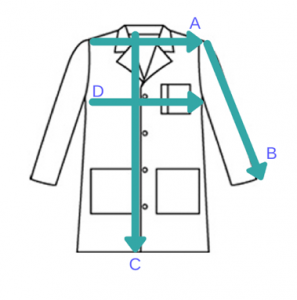 · Coats can be written on with a permanent marker. · Coats for Teens, High School students, Men, and Women. · Please do not use for protection against toxic chemicals, biohazards or hot situations. · Household DIY Projects, staining and painting protection. I’m a 5ft 2in female 120ish lbs. I used this for my micro lab. It fits great and has sleeve cuffs that have that cinch thing in it so its tighter on your wrist, very helpful.